We were sad to see Little Mexico close at the end of last year but the oldest taco truck in Columbus has new owners and keeps on trucking. There’s always a little anxiety when a truck we love changes owners. Will it still be as good? In the case of El Paisa we didn’t need to worry. So far it may even be an improvement. 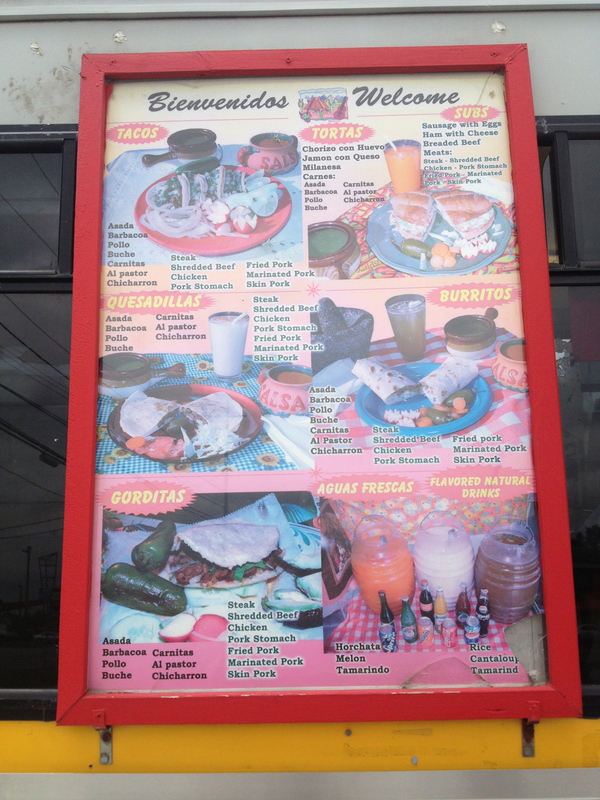 The menu is mostly the same, the standard taco truck fare of tacos, tortas, burritos, gorditas and quesadillas but El Paisa have added huaraches to the line up. Everything we’ve eaten so far has been very well made. 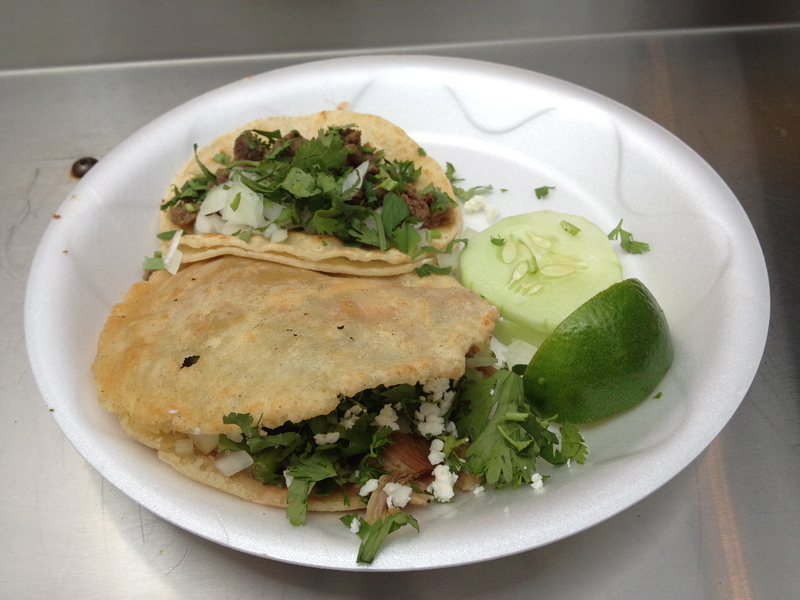 The gorditas are a little different and come with beans, meat, cheese (crumbled queso fresco), cilanto and onion. No sour cream or tomato. We like them this way. 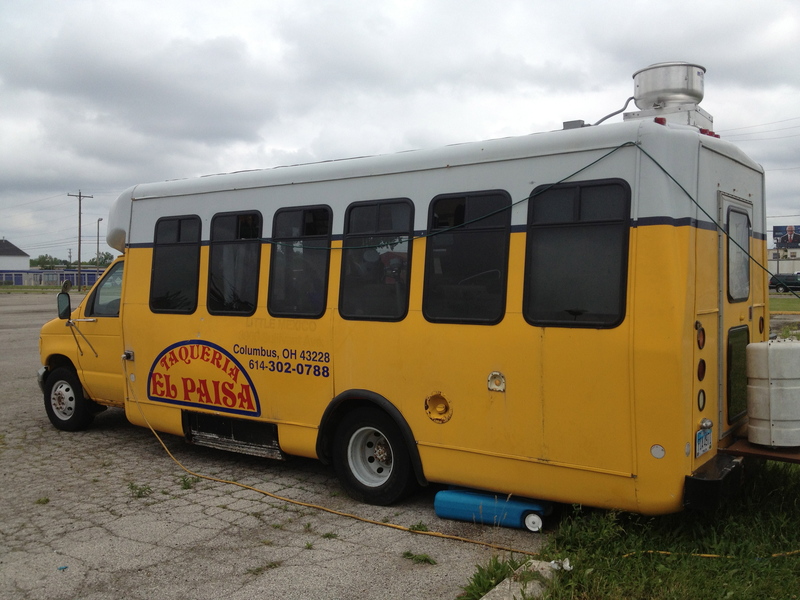 Where El Paisa really excels is in their meat. We’ve sampled the barbacoa, chorizo, carnitas and steak and have been impressed. They make their own chorizo from scratch. They’ve also added lengua, huraches and ceviche tostadas. On Mondays tacos are $1. I have not visited this one and am surprised I missed it. I love the vintage bright yellow look of the truck, it reminds me of an old school bus. I can’t resist a couple of authentic tacos for lunch! Great post! Mouthwatering food and menu. Thanks a lot sharing it. Hope to get a chance to try it in future.